Sudden changes to your lawn, for example leaf blight, can create a slight panic to Denver property owners. There is the worry of not understanding what has gone wrong and how easy it will be to fix. At Lawn Doctor, Denver’s number one choice for lawn care, we provide services that allow peace of mind to our customers. If you are worried your residential or commercial lawn might be affected by leaf blight, give us a call today, and one of our Denver technicians will be able to discuss all potential options and treatments with you. When it comes to identifying problematic lawn areas on your property, leaf blight is one of the easier ones to spot. Certain parts of lawn will become discolored and dried out, almost appearing to be dead. 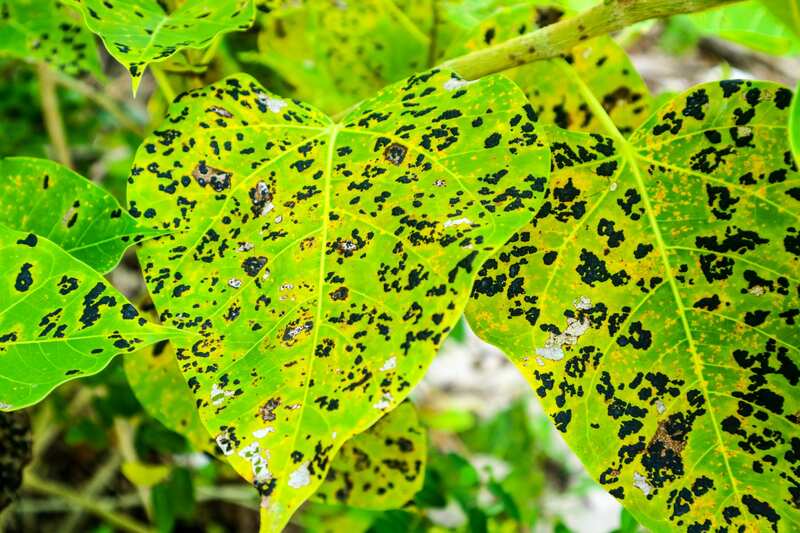 However, because leaf blight is a fungal disease, it does not affect the root directly, so only the top portion of the leaf will appear dried out and straw-like, while the rest of the leaf should appear normal. Additionally, since the root has not been affected, the fungal disease is unlikely to kill your lawn or cause any permanent damages. When providing a leaf blight treatment, we aim to make the process as simple as possible for our customers. Our certified technicians discuss through all our treatment options, the tools and services we are able to provide, in addition to any preventive measures that will need to be taken. All it takes is proper care for future cases of fungal disease to be prevented entirely. At Lawn Doctor, we also provide the Denver area a year-round service where we take care of your lawn for you, practicing proper mowing, feeding, and watering techniques. Since 1972, we have made it our goal to provides excellent services to all our customers throughout the Denver area. Every one of our technicians place value and time into their work, providing customized solutions for you and your property. At Lawn Doctor, we can ensure the protection and results of our customer’s properties with the top treatments possible, in addition to the care we are able to provide.